With Thanksgiving being a little over a week away I started thing about what I could come up with that you might serve any overnight guests you may have for the holiday. Something special, but easy and not time consuming. After some pondering… Voila! 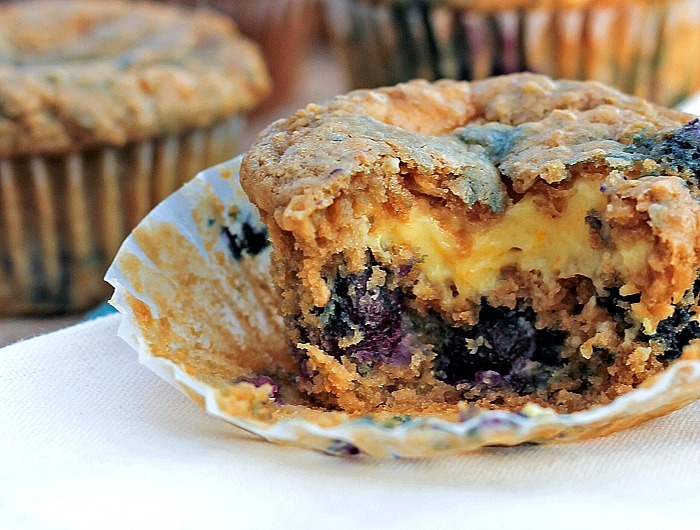 Oatmeal Blueberry Cream Cheese Muffins. 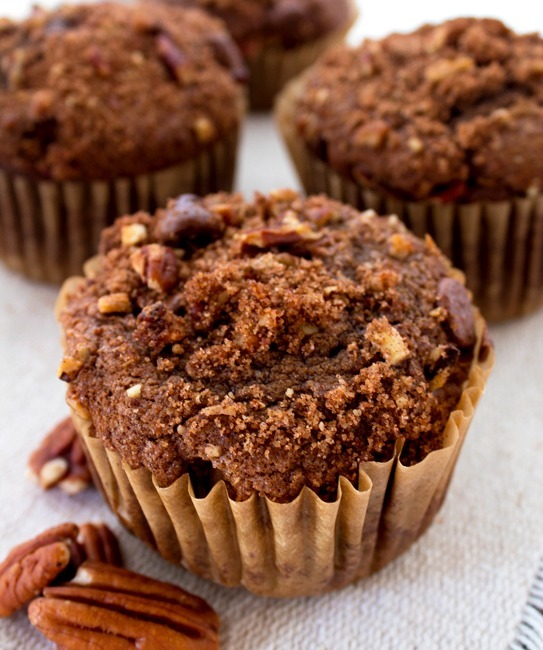 This is definitely an extraordinary muffin and far from the norm. 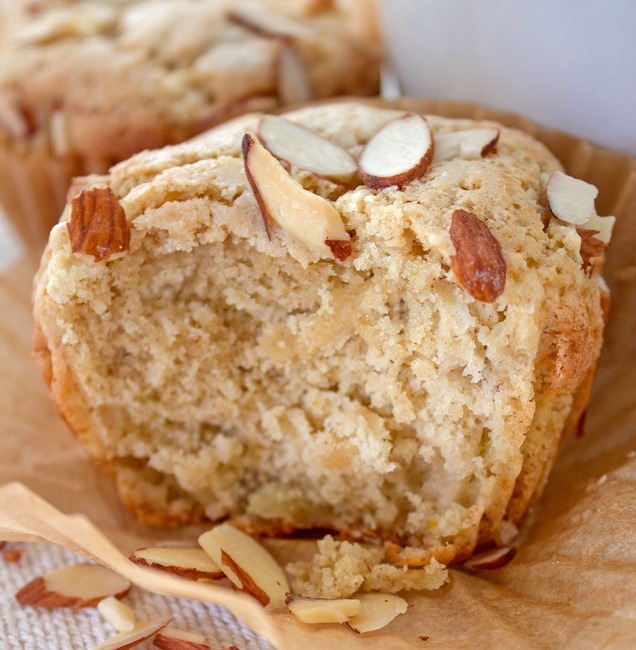 The muffin is very soft and moist, I’m going to attributed that to the buttermilk in the recipe. There are little things you could change to make it slightly different each time you make it. I used frozen blueberries , you could also use a frozen berry mix, just think of all the wonderful fruit flavor that would give you! 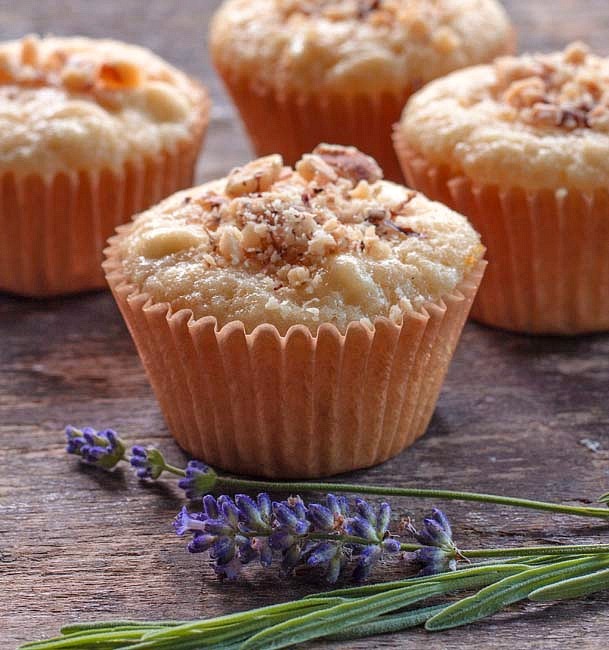 The cream cheese filling is flavored with orange zest, lemon zest can also be used and would compliment the fruit very well. 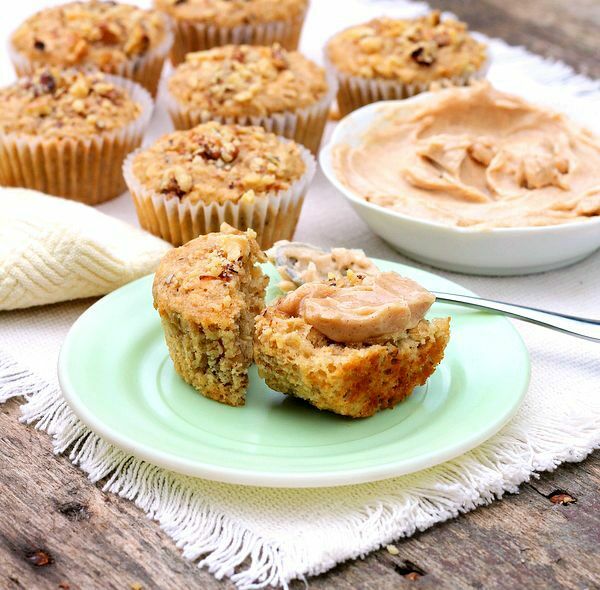 Adding a topping with nuts would give you a nice crunch to go with the smooth , creamy filling in the center. Get those creative juices flowing and make it your own. You’re going to enjoy this little gem from your first delicious bite to your last. 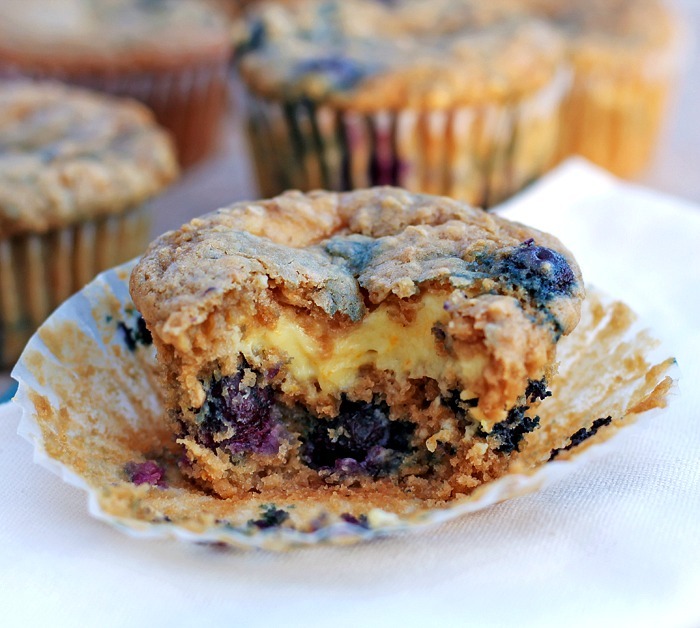 Whether these Oatmeal Blueberry Cream Cheese Muffins are to be for the holidays or just because, this kicked up muffin is sure to please! Enjoy! In a small bowl combine oats with buttermilk; let stand 10 min. In a medium bowl, with an electric mixer, beat cream cheese, granulated sugar and zest until blended; set aside. Mix flour, brown sugar, baking powder, baking soda and salt in large bowl. Add egg and butter to oat mixture; stir until well blended. Add to dry ingredients; stir just until moistened. Gently stir in berries. Spoon half the batter evenly into 12 muffin cups lined with extra-large or giant paper liners, filling each liner half full; top each with 2 Tbsp. cream cheese filling. Cover with remaining batter. Bake at 350 degrees for 25 to 27 min. or until toothpick inserted in centers comes out clean. 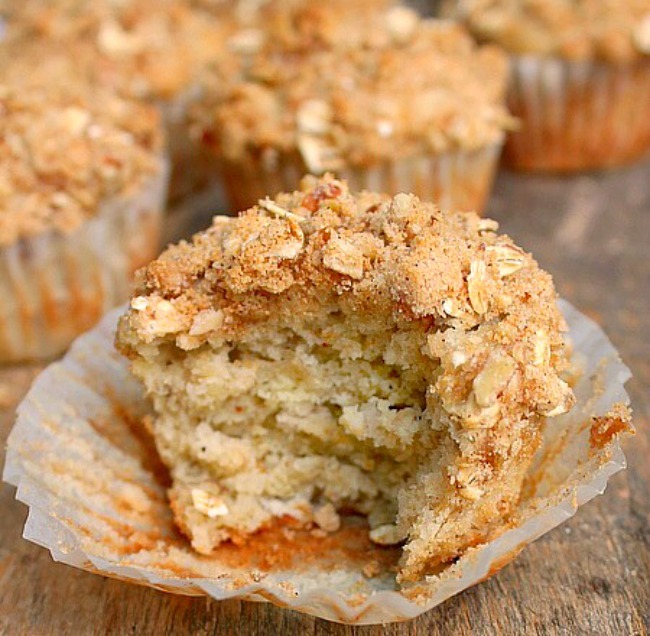 Well these are just heavenly and perfect for breakfast in the morning or afternoon tea! Does this mean regular muffin cups with large muffin cup liners? 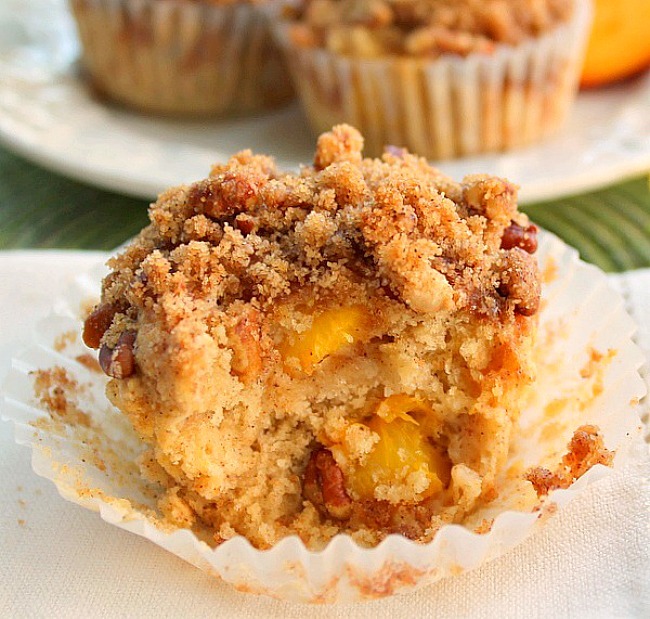 Pat I used regular muffin liners and muffin tins for this recipe. Should use the extra large muffin tins, OR regular size muffin tins and half the cream cheese. Will still need an extra small Pyrex bowl because the recipe makes too much for 12 regular size muffin. Even after all this I still think the recipe is too wet. The muffins come out too moist and don’t hold together very well. Still I like the ingredients so I will experiment with the recipe. Maybe add more floor. 1 and 1/2 cup instead of 1 cup. Thank you for your insights Sue, let me know how your changes go!